ALL THE EVENTS ARE FREE OF CHARGE. Please download the Sixth Form Ticket Application Form here. AUTUMN MEETING FOR TEACHERS OF CHEMISTRY. TEACHING CHEMISTRY - WHO IS OUT THERE AND WHAT CAN THEY FOR YOU"
Tuesday 21 November 2017 HOW FAR DOES THE PERIODIC TABLE GO? Tuesday 13 March 2018 SURELY THAT'S BANNED? June 2018 Visit to the Black Country Living Museum, Dudley. And there will be some free resources to take away. As usual, the evening will be a marvellous networking opportunity in a relaxed environment, with light refreshments being served. Meet new colleagues or renew old contacts. Why not invite your colleagues to this evening? Perhaps you would like to make a positive contribution to the continuing development of Chemical Education in the Midlands Region? If so, you may wish to join the WMCTC Committee as one of our teacher representatives. NQT or experienced teacher - your input will be very welcome and much appreciated. Please let us know. The WMCTC Annual Business Meeting takes place during the evening and the agenda includes the election of teacher representatives to serve on the Committee - an excellent CPD opportunity. If you would like to come to this Meeting, please email the Chair (Jill Oldfield: jo@kehsmail.co.uk ) giving your name, school/college address, telephone number and preferred email address. 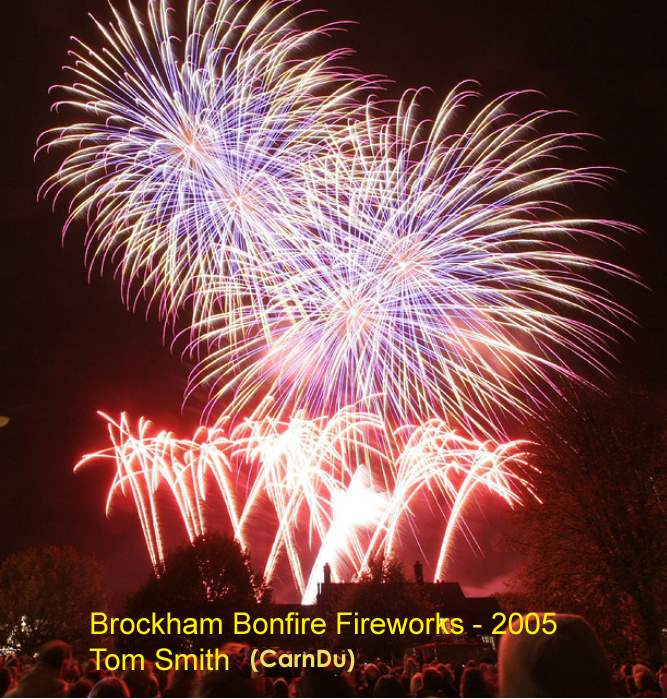 “Remember, Remember the 5th of November ....” A pyrotechnical extravaganza of colour, light and sound, bangs, whistles, explosions and sparks. Or yet another quiet evening at home? Dr Tom Smith, CarnDu Limited, Kimbolton. Sixth Form Lecture Demonstration. "SMACK, CRACK, SPEED AND WEED - A FORENSIC CHEMIST'S TALE"
By popular request, essential information for scientifically literate students. And you thought that you knew it all! Try not to miss this one! 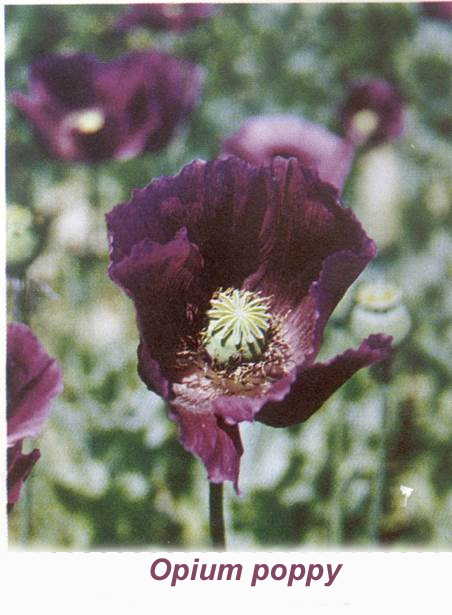 Dr Mike Griffin, Metropolitan Police Laboratory Drugs Division (Retired). Sixth Form Lecture. Tickets needed. Ticket Application Form must be completed. "WATTS NEW WITH CLEAN ENERGY MATERIALS? BATTERIES INCLUDED"
A major challenge in the 21st Century is the development of cleaner sustainable sources of energy to help kick the fossil fuel habit and cut carbon emissions. New materials and fundamental understanding are crucial for major advances in green technologies such as fuel cells and lithium batteries. 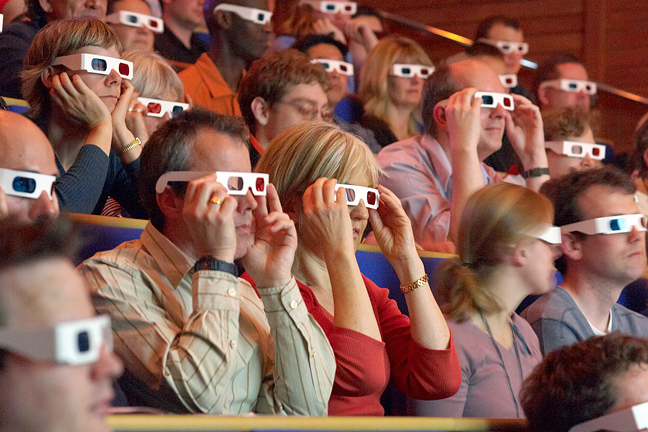 This talk will highlight, with the aid of 3D specs, the use of atomic-scale modelling to examine new crystalline materials for both fuel cells in homes and lithium batteries in electric vehicles. Professor Saiful Islam, Department of Chemistry, University of Bath. Sixth Form Lecture. "HOW FAR DOES THE PERIODIC TABLE GO?" The Periodic Table is one of the most recognisable images in science, and is fundamental to chemistry. It is a highly elegant pictorial catalogue, in which each element has a well-defined place, and allows us to make connections between elements that would otherwise seem unrelated. But what is it based on? In this presentation, the Periodic Table will be built up in terms of atomic structure, starting with the very lightest elements and gradually progressing towards the foot of the table, dwelling more than is usually the case on the Actinide Series and its fascinating chemistry. From there, we will progress to the superheavy transactinide elements, which exist only fleetingly and which are studied in fantastically small quantities. The talk will conclude with some thoughts on the title question - at present the Periodic Table ends with oganesson (Og), element 118. Professor Nikolas Kaltsoyannis, University of Manchester. Sixth Form Lecture. "A VOLATILE HISTORY OF CHEMISTRY"
Presented by Professor Craig Williams, Dr Martin Khechara, David Luckhurst, David Townrow and assisted by Ms Zoe Mason (University of Wolverhampton). This interactive lecture demonstration will take the students on a journey through time to explore the discoveries of some of history's most famous chemists. Through comedy, intellectual discussion, exciting, mind boggling and sometimes downright frightening demonstrations, the presenters will show the audience how many of the fundamental laws of chemistry work and influence our everyday lives. The event is FREE but TICKETS are needed. By popular request, their majestic maestros masterfully maximise mysteriously many moving memorable magical momentous magnificant masquerades metaphorically. Once more, the dynamic duo will cast their spells. See the magic for yourselves - be entertained and inspired. Dr Ray Plevey & Mrs Rosemary Plevey, School of Chemistry, University of Birmingham. Sixth Form Lecture Demonstration. Many carbon compounds contain a chiral carbon. This leads to the existence of two "mirror-image" forms (enantiomers) of the same compound. Chemically they are identical, but they may behave differently in the human body, most tragically in the case of the sedative thalidomide. One form of thalidomide leads to birth the defects of babies with defective limbs when administered to pregnant women; the other form does not. This talk will examine examples of how the presence of a chiral carbon may affect the properties of a drug. The difference smells of the two isomers of carvone are also familiar to A-Level students; we will look at how the brain processes the information that comes from the receptors in the nose, and examine a number of cases where enantiomers have different smells, including the true story of the isomers of limonene. Dr Simon Cotton, School of Chemistry, University of Birmingham. Sixth Form Lecture. The aim of this symposium is to demystify career pathways and explore exciting research opportunities in the field of chemistry. Chemistry research: What are the big challenges? Does it involve new compounds, methods or techniques? What is the potential to make a real impact on peoples lives? How can doing what you enjoy lead to a career? If you wish to find the answers to any of the above, please join us at the School of Chemistry at the University of Birmingham for this exciting meeting. Academics and industrialists will present how they have been involved in research and how their careers developed. Highlights of exciting research in inorganic, physical and analytical chemistry will be presented. Coordinated by Professor Zoe Pikramenou, School of Chemistry, University of Birmingham. "THE WONDERS OF ELEMENT 6: CARBON"
In this talk the many different allotropes of carbon will be explored, two of which have been the subject of fairly recent Nobel Prizes (Graphene in 2010 and Fullerenes in 1996) from synthesis to applications. The use of materials such as carbon nanotubes, graphene and diamond goes hand in hand with some of the latest developments in science and (nano)technology which will also be showcased here. Our speaker, Julie MacPherson works on the development of new electrochemical-based sensors (based on diamond, nanotubes, graphene and nanoparticles) for a variety of different applications in healthcare, pharmaceutical analysis and environmental science (often in collaboration with industry). Professor Julie MacPherson, University of Warwick. Sixth Form Lecture. "CHEMICAL ENGINEERING OF CHOCOLATE CRÈME EGGS"
The secrets of the crème egg revealed. Chocoholics beware - is this the time to diet and watch the calories? Let others indulge? Trick or treat? And did you know that in 2016 the Institution of Chemical Engineers Salary Survey reported that Chemical Engineers are the best paid group of engineers and have the potential to earn more than doctors, lawyers and accountants? The median salary for UK chemical engineers is £57,000 rising to £73,000 for Chartered £hemical £ngineers for the professional "high-fliers". The average graduate starting salary is £28,500. No, I didn't think you knew about £hat. Please remember to pass the chocolates. Professor Peter Fryer, School of Chemical Engineering, University of Birmingham Sixth Form Lecture. A NEW LOOK AT WHAT YOU CAN AND CANNOT DO IN PRACTICAL CHEMISTRY"
Bob Worley, Chemistry Adviser with CLEAPSS. A review of the legislation that has to be included in dealing with risk assessments in chemistry when CLEAPSS sets up Hazcards, Practical Procedure Documents and Supplementary Risk Assessments. The evening will examine just how useful Safety Data Sheets are for chemistry teachers, the impact of European Legislation on our chemistry, (after REACH will there be BREACH? ), the impact of the recent Explosives Regulations on our experiments and other issues such as security. However, this is Bob delivering this presentation, so there will be demonstrations and workshops happening at the same time! This whole business leads to the possible introduction of a Green Chemistry agenda into our syllabus. Bob Worley has over 20 years experience in dealing with safety and practical procedure with chemicals in schools in the UK. The aim of CLEAPSS is to enable practical work to take place so it can continue, despite the concerns of Employers, Local Authorities, Teachers teaching outside of their specialism etc. This initiated his involvement in alternative procedures into normal-size chemistry and then into research into microscale techniques but now he finds these small scale techniques do more than making chemistry practical work safer, they enhance classroom management, challenge students in their thinking about what happens at the nano-level and introduce both teachers and students to new chemicals and reactions. (See www.microchemuk.weebly.com , and the CLEAPSS Youtube channel). If you would like to come to this Meeting, please email the Chair jo@kehsmail.co.uk giving your name, school/college address, telephone number and preferred email address. Closing date for applications is 2 March 2018. "A-LEVEL REVISION: pH, BUFFER SOLUTIONS AND TITRATION CURVES"
This presentation will focus on revising some of the key topics in A-Level acid-base chemistry, e.g. definitions, calculating pH, acid-base titrations, titration curves and buffer solutions as required for most of the major current A2 Chemistry specifications. It will be an interactive presentation, using electronic voting pads or "zappers" to allow the audience to answer questions about these topics throughout the lecture, chosen to illustrate key points or student misconceptions based on the speakers extensive experience of teaching and examining this topic over more than two decades. There will be calculation questions throughout the lecture so students are advised to bring a pen, some paper and their calculators! As with his revision lecture on transition metals last year, a booklet of Revision Notes will be provided for each attendee to take away. 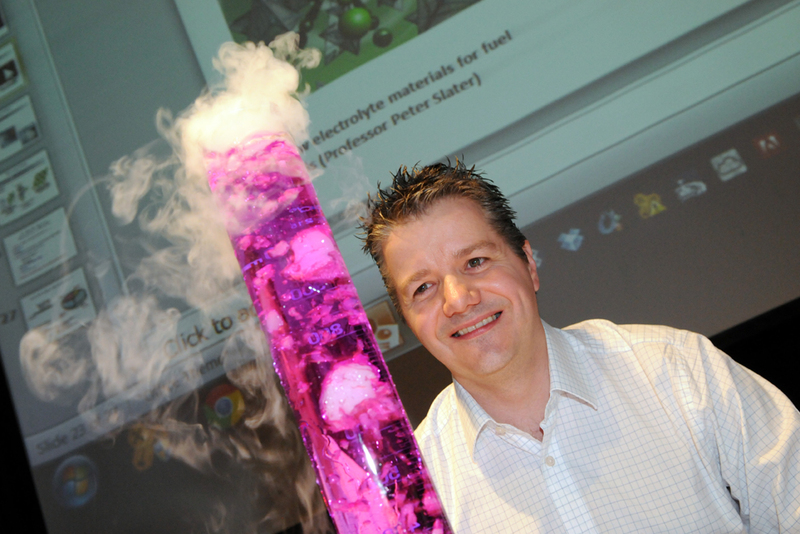 The speaker, Dr Peter Hoare, is currently a STEM Outreach Officer in the Science Faculty at Newcastle University and was formerly the Chemistry Outreach Officer from 2009 to 2017. Prior to his appointment in 2009, he was a chemistry teacher for 20 years in a high achieving Northumberland High School. 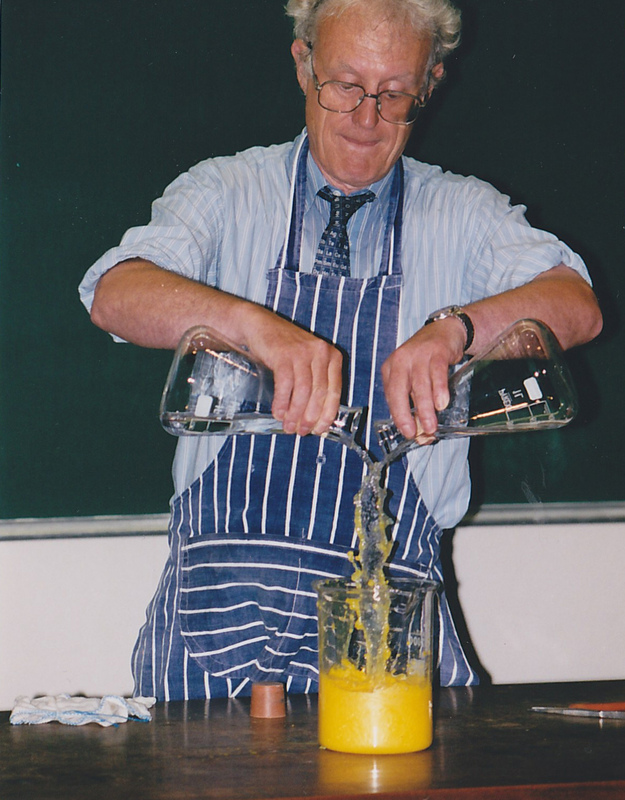 He has been an A-level Chemistry marker, at both AS and A2 level, since 1995 and is also an A-level Chemistry Practical Adviser for one of the major UK examining boards. Dr P.Hoare, Newcastle University. Sixth Form Revision Lecture. "A-LEVEL REVISION: : MATHEMATICS IN SIXTH FORM CHEMISTRY: BUILDING CONFIDENCE"
This presentation will focus on revising some of the key mathematical skills required for A-Level Chemistry. This will include skills and topics such as calculating and converting units, significant figures, decimal places, standard form, the Avogadro number, percentage yields, calculations using algebra, logarithmic functions, using and constructing graphs to determine chemical quantities, determining uncertainties and the Arrhenius expression. 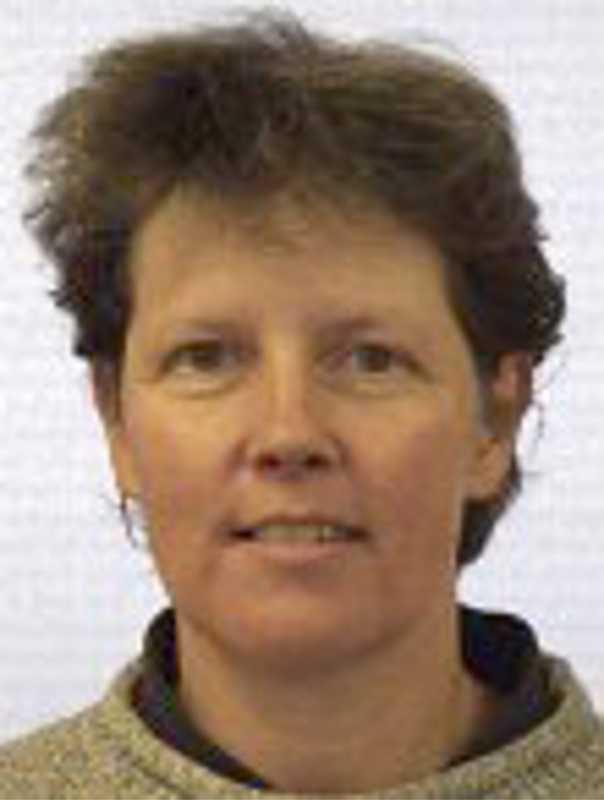 Maryjane Tremayne is a Lecturer in Physical and Structural Chemistry and has research interests in organic solid state chemistry, molecular crystallography, powder diffraction and evolutionary algorithms. Maryjane has published over 40 research papers in scientific journals and books, and solved over 50 molecular crystal structures from powder diffraction data following the development of new techniques for determination. She has given presentations around the world on both structure solution from powder diffraction data and the application of evolutionary algorithms to crystallography. Maryjane teaches on a number of undergraduate modules including thermodynamics, kinetics, computational chemistry, organic molecular materials and solid state techniques. 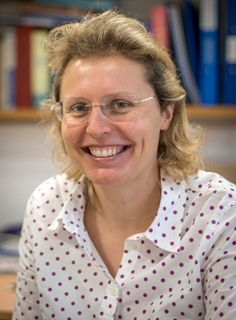 She has also taught 'mathematics for chemists' for a number of years and has recently established a new online fundamental maths for chemists module involving a range of innovative approaches to e-assessment and feedback for students. MEETING FOR ALL TEACHERS OF CHEMISTRY. "ADVANCED LEVEL CHEMISTRY: ESSENTIAL PRACTICALS OUTSIDE THE 12"
In conjunction with the Royal Society of Chemistry and the West Midland Region of the Association for Science Education. Effective practical work is used to engage, motivate and inspire students. Come along and experience a variety of experiments that are suitable as student practicals or teacher demonstrations. NQT or experienced teacher, you will be able to choose which experiments to try out and discuss with other practising teachers. 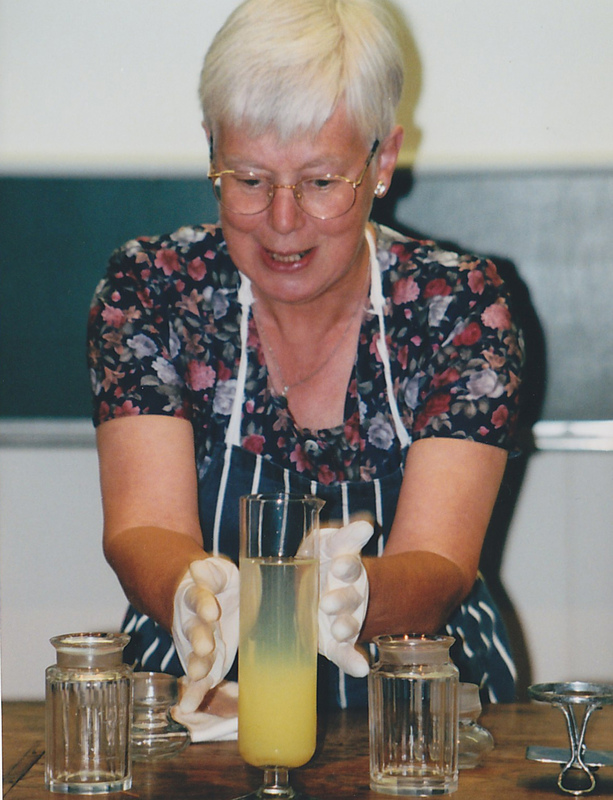 New ideas and novel approaches - have an enjoyable evening with hands-on Chemistry that you can take back to your school? Why not invite your colleagues to this meeting? A Certificate of Attendance will be available for your Portfolio. Closing date for applications is Friday 27 April 2018. "CHEMISTRY AND ENERGY: FROM STEAM TO NUCLEAR POWER"
Exciting Chemistry to delight and fascinate the young audience of future Chemists. This demonstration lecture will consider the chemistry involved in the production and harnessing of energy. From Thomas Newcomen's first successful steam engine in the world, used to pump water from coal mines of Lord Dudley's estates in 1712, to modern day nuclear electricity generating power stations - and a lot more along the way. The important role of chemists in developing new materials that convert energy more efficiently and in a less polluting manner will be highlighted when considering energy materials for the future. 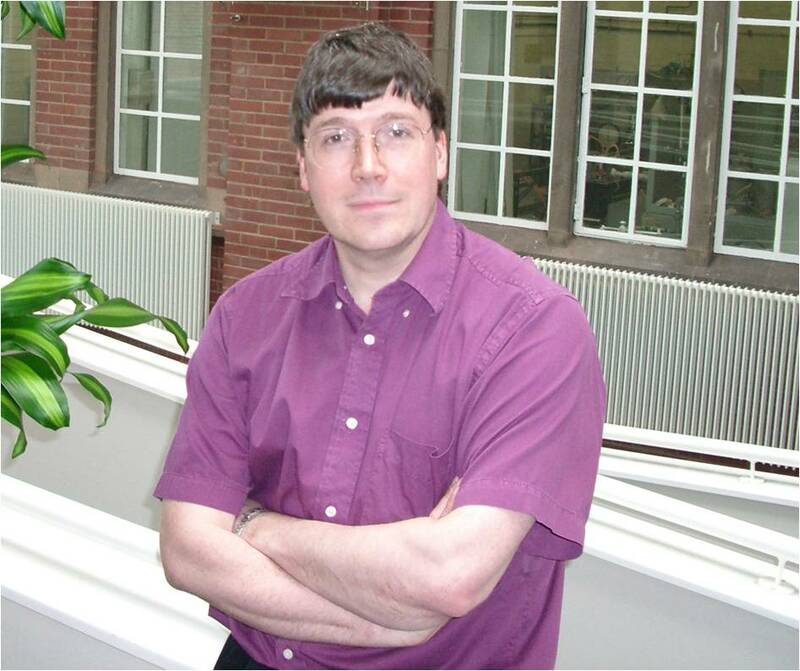 Presented by Dr Mark S D Read, Senior Lecturer in Computational Solid State Chemistry, University of Birmingham. 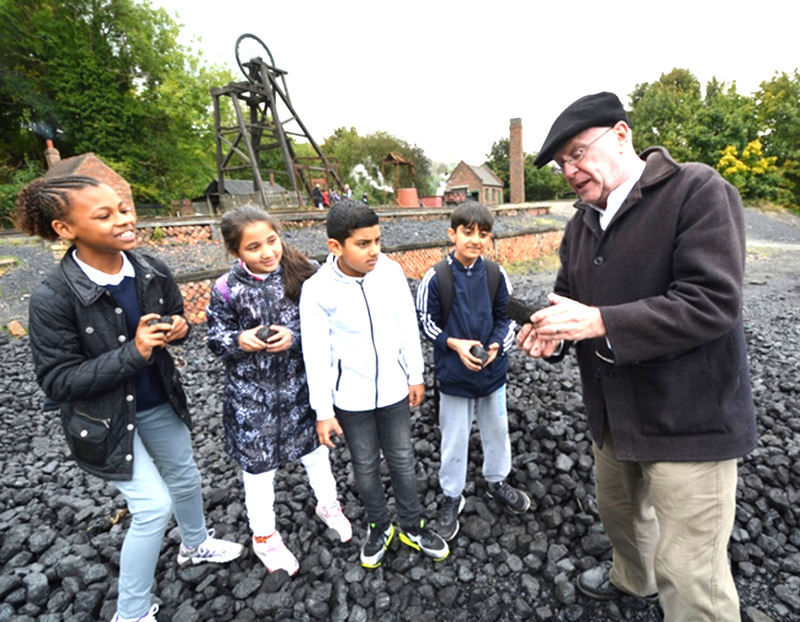 "A VISIT TO BLACK COUNTRY LIVING MUSEUM: MINES, METALS & FOSSIL FUELS"
This is a unique opportunity for you to visit the Black Country Living Museum and take part in a range of fun and practical CPD activities delivered by members of the Royal Society of Chemistry and the Museum Learning Team. It is also an opportunity to bring your Family if you wish - it should be fun. 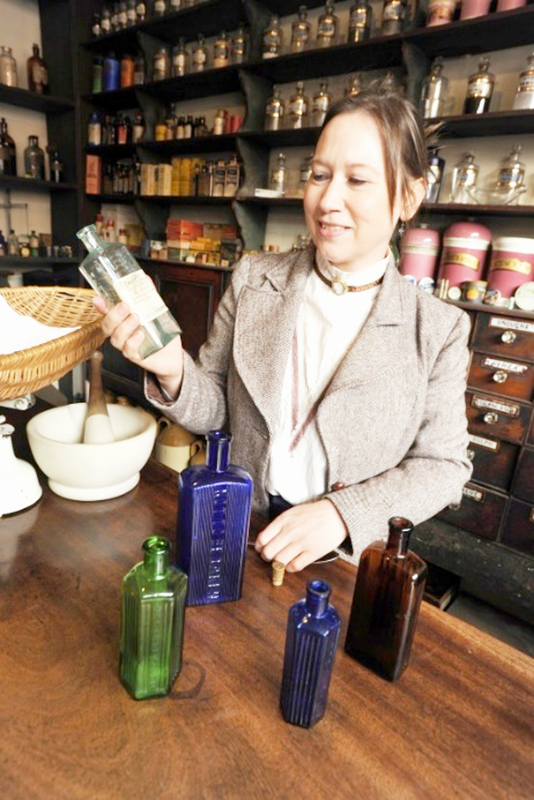 You will also have the opportunity to explore the Museum using a chemistry themed trail, and participate in some of the activities on offer to visiting school groups. The day will be of interest to all teachers of Chemistry looking for inspiration around contextualised learning. 9.45am - 10.00am: Arrival, registration and tea and coffee. 10.00am - 10.30am "Mining Madness" An interactive show demonstrating the dangers of mining during the Industrial Revolution, using gases, fire and explosions. Delivered by Tom Dipple, STEAM Learning Developer, BCLM. 10.30am - 12.30pm: "Mines, Metals and Fossil Fuels" A practical CPD workshop introducing you to a range of hands-on activities and linked resources that complement the show. These can easily be implemented in the classroom and used to enthuse and engage learners of all abilities. -	A silent film in the Limelight cinema. Places are limited, so please apply as soon as possible to avoid disappointment. Closing date for applications is Friday 15 June 2018.